We recently helped a client build v1 of their employee ideas program. They called it “The Voice” – riffing on a popular TV show – and they did a great job throughout. 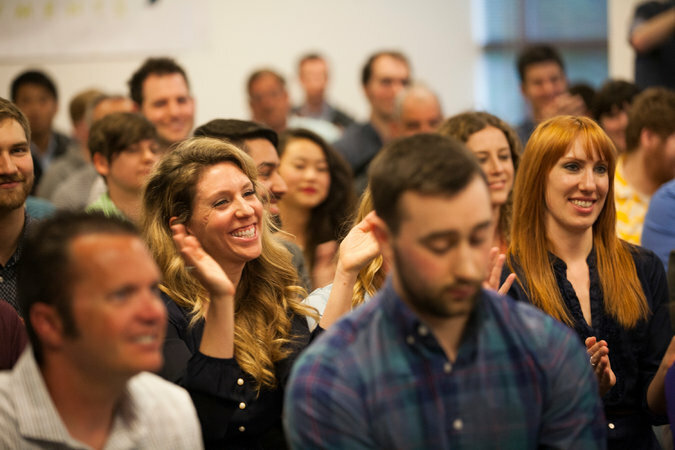 People across the company got engaged, excitement grew, and participation swelled. The final winners’ showcase was a big hit. Just a few years ago, we at Imaginatik had to constantly educate and evangelize on how and why this type of engagement gives life to innovation, culture change, and organizational transformation. No longer. Lots of companies now run flashy ideas contests with employees, customers, and others. These programs, whatever their names – Shark Tank, The Voice, Customer Vine, Dragon’s Den, etc. – are all variations on a theme. They’re popular because they’re fun, and they’re straightforward to run – or so it would seem. You build a flashy web site, promote the contest outward, plan a big event for the winners, and you’re off to the races. Yet many companies do it only once – even if round one was highly successful. That’s because they haven’t built the internal processes and digital infrastructure to make it sustainable. We’ve seen this movie over and over. Everything starts off great – lots of participation and enthusiasm. Great ideas are rolling in. Then, it dawns on the team: they have hundreds, if not thousands, of proposals / suggestions / ideas waiting to be catalogued and reviewed. It will take many hours, from many people, to slog through it all. Meanwhile, the submissions keep rolling in. So the team takes shortcuts. They don’t actually review everything. They pay more attention only to the recent stuff on top of the pile, never addressing the backlog. People in the crowd start grumbling that they haven’t heard back. Suddenly the organizers are working weekends, losing sleep, neglecting their day jobs, all to keep the effort from running off the rails. By the time the awards gala arrives, everyone in the company is happy – except the organizers. They vow “never again”. Promises are made for another one next year, then quietly dropped once everyone else has moved on and forgotten. The REAL power of the crowd comes from building a sustainable program that leverages economies of scale. There are powerful tools available to structure and streamline the triage, evaluations, and decision-making processes. We run into these issues all the time; it’s a big part of what Imaginatik’s products are designed to do. The best systems, like Imaginatik’s Innovation Central, are powered by algorithms that significantly augment human attention – streamlining by several-fold the PM overheads required. If you’re considering a crowdsourcing effort, give us a call. We’ll make sure you’re on the right track from day one.